This is an old book from 1964 by Arthur Stern that's reprinted in 2016. For those looking to improve your understanding of colours and how to use them, this is an invaluable guide. The book is packed with lots of exercises for you to try out. The instructions are clear and each exercise teaches a certain aspect of colours, such as there is not such thing pure white or black, how colours affect each other when placed side by side, how light and shadow affects colours, and generally speaking, how to see and identify colours. All the examples are of still life and the objects are easy to find, such as fruits, flowers, containers, bread. You do need to set up your own coloured boards as backings so as to follow the exercises closely. The exercises basically involves painting huge shapes of colours, and with each subsequent step further refining your painting to the colours that you see. What's amazing is, the subject matter may look simple but with the right colours at the right places, the painting starts to take form even if you have not used a lot of strokes. You'll learn a lot about colour mixing. 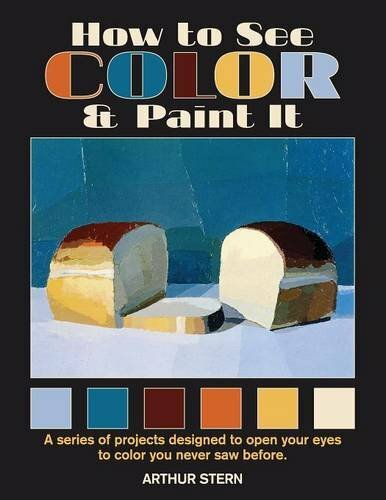 Note that the book talks specifically about oil painting. The exercises are not easy to replicate with watercolour. If you use gouache it's fine. Overall, it's a really practical book with lots of useful hands-on exercises. It's definitely easier to learn by following through.